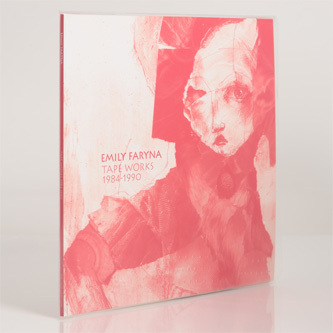 **Hand-numbered gatefold edition of 500 copies** "Emily Faryna is a Canadian artist and singer known so far only by real fans of Minimal/Synth-related Wave-music and cassette-culture collectors. Like most singers, she started doing small gigs, slowly making a name for herself. By 1984, she was working under the MoDaMu Records label out of British Columbia in Canada. Her debut album, I’ve Got a Steel Bar in My Head, was released that year (MoDaMu10). The Track Doomed to Fail was released on the Underground Vancouver 1984 Compilation the same year. A sophomore offering followed in 1985 titled Neat and Tidy in Your Mind (MoDaMu15) and two tracks (Compromise and Propaganda) got licensed to the spanish Label Auxilio De Cientos for vinyl release on the Femirama Compilation which contained also other works by Tara Cross, Neo Zelanda, Eicka Irganon, Anne Gillis and more female protagonists of electronic and minimalsynth/undeground music. 5 years later a third Tape called Return of the Repressed was released. By 1991, Spiral Records released as CD Compilation called Some of Emily with original and reworked versions of 10 selected Tracks. Now, almost 3 decades after her musical career started, Emily Faryna finally receives the appreciation she deserves with a superb 2LP-Set which combines all the tracks from those 3 original tapes."